Love discoverer the lives of famous authors? In this biography, Jonathan Rogers gets at the heart of O'Connor's work. He follows the roots of her fervent Catholicism and traces the outlines of a life marked by illness and suffering, but ultimately defined by an irrepressible joy and even hilarity. 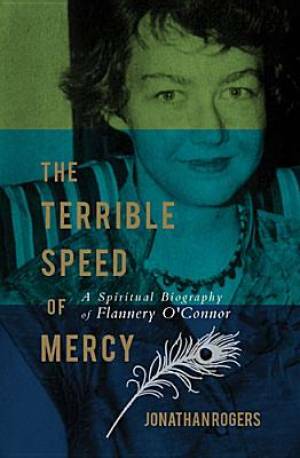 In her stories, and in her life story, Flannery O'Connor extends a hand in the dark, warning and reassuring us of the terrible speed of mercy. The Terrible Speed Of Mercy by Jonathan Rogers was published by Thomas Nelson in September 2012 and is our 18618th best seller. The ISBN for The Terrible Speed Of Mercy is 9781595550231. Be the first to review The Terrible Speed Of Mercy! Got a question? No problem! Just click here to ask us about The Terrible Speed Of Mercy.